Our “Mochi Minis” feature upcoming events and releases from members of the Mochi community. To learn more and submit a Mochi Mini, please go here. 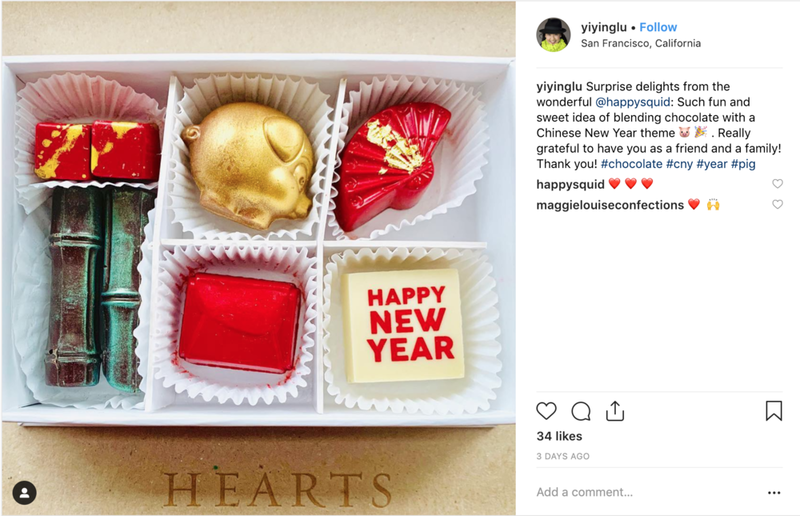 Our friends at Maggie Louise Confections have put together an adorable Lunar New Year gift box with hand-painted, gourmet chocolate to welcome the Year of the Pig! They are offering Mochi readers a $10 discount by entering the code SWEET19 when ordering. Learn more and order your box here. Maggie Louise Confections is an Austin-based creative confections company that brings haute couture designs to the world of chocolate. Their handcrafted confections combine nostalgic flavors, modern design, and meaningful bespoke details and have been featured in Vogue, Food + Wine, and The Oprah Magazine. Browse more of their gift boxes on their website and follow them on Instagram.